We are SO excited about the start of 2018, Smarties! Over the next couple of weeks we’re bringing you interviews with some of our favorite fitness places in town AND with those interviews, we’re including some FIT-ULOUS giveaways just in time for those New Year’s resolutions. 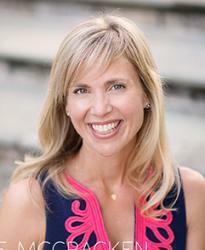 First up is one of our faves, Lauren (Lolo) Wilson, CycleStar extraordinaire at CycleBar Waverly and CycleBar Midtown. She’s dishing on what makes CycleBar the best in town and letting us take a peek at some of her favorite things. If you’ve never taken one of Lolo’s classes, make sure to sign up soon. She’s seriously one of da best! Enjoy getting to know Lolo! Many first-timers are scared of cycle classes. What should a first-time rider expect at CycleBar and what would you tell them to calm any first time nerves? CycleBar is a premium indoor cycling experience, designed for all ages and fitness levels. We understand being the ‘new kid’ can be intimidating! Whether your new to the cycling world or an experienced veteran, we take great pride in welcoming anyone who steps foot in our studios. Our rockstar team will help ease any nerves! For first-timers, it helps to arrive 10-15 minutes prior to the ride. 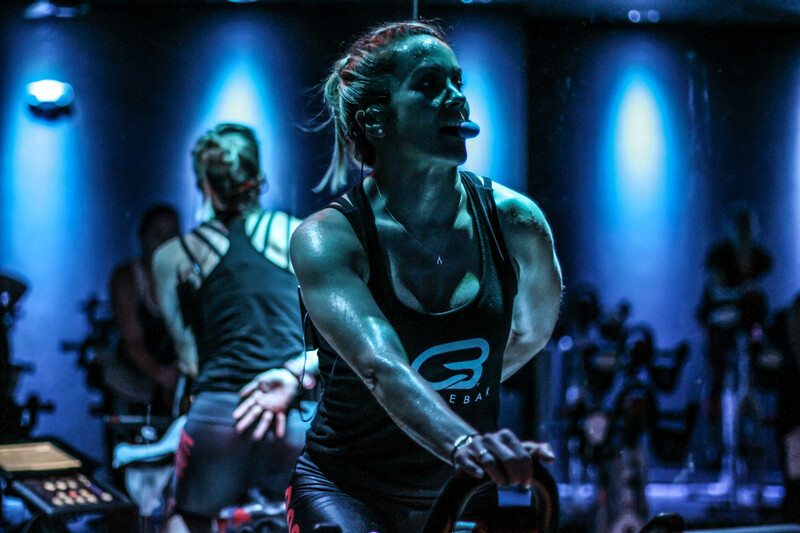 We are a rhythmic based studio, and CycleStars will guide you through an awesome 45-minute full-body workout. A good rule of thumb is that it takes about 3 rides to get acclimated. What makes CycleBar different from other cycle classes? Our Cycle Theatre boasts incredible lighting, amazing sound called ‘Cycle Beats,’ paired with state of the art technology which provides riders with real time class stats. This concert like atmosphere is fueled by an energetic CycleStar instructor, and delivers an unbelievable total body workout in 45 minutes. You have a truly inspiring and positive vibe in the studios. Tell us how you all make it happen. Simple – We love what we do! The saying “Your vibe attracts your tribe.” echos here. We are so grateful for our riders — their energy, support and love helps fuel and create our inspiring CycleBar community. “CycleStars” are your teachers, and each one is totally unique and awesome in his or her own way. How do you think their energy contributes to client’s overall experience and results? As CycleStars, we’re in the business of helping others feel good. Classes are centered on our riders (not us!) We create a friendly, supportive, fun environment so that riders can focus on their goals. While each CycleStar’s style of teaching and musicality may differ some, we share a common trait: we always have the best interest of our riders in mind. We enjoy getting to know our riders and want them to succeed – both in and outside the studio. In today’s climate with many distractions, one of our top priorities is for our riders to leave class feeling energized and accomplished. What exciting things are in store for CycleBar in 2018 and how are you helping clients crush their 2018 fitness goals? We are growing! We added classes to our Midtown schedule and adjusted class times at both Midtown and Waverly to meet the needs of our riders. We are also moving to a 45-minute Ride format – yay!! Same great full-body workout with a little more focus on high-intensity Intervals. Also keep a look out for 60-minute endurance rides at both studios. We will continue to partner with local businesses so that we can extend exclusive offers to our riders and support their efforts to live their best life! Lastly, we are thrilled to release 2018 pricing! Take advantage of some awesome incredible savings. Lululemon and Carbon38 are my must-haves! A long bath or reading a good book! Favorite song and/or artist to add to your CycleBar playlist? This is challenging!! Depends on my mood. But my top 3 go-to artists include ColdPlay, Kygo or Rihanna. 2. Follow CycleBar Waverly and CycleBar Midtown on Facebook. 3. Leave a comment below with your favorite song or artist to add to your workout playlist AND which studio you’re hoping to join! That’s it! Winners will be announced Thursday, January 11. Waverly and any hip hop! I’ve never been but feel like that would be fun. I’d love to try this at Waverly! My favorite playlist is current pop. Portugal the Man and I’d like to attend classes at the Waverly location. And the Waverly location is right next to my work! Some of Ed Sheeran’s fast tunes would be great. Midtown!